Observation - Southern Hawker Dragonfly - UK and Ireland. 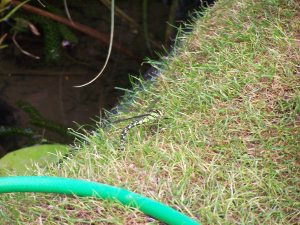 Description: Southern Hawker Dragonfly i think. Ovipositing on a roll of turf next to my pond. Southern Hawker Dragonfly i think. Ovipositing on a roll of turf next to my pond.